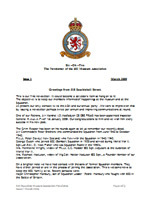 The 602 Squadron Museum Association publishes an annual newsletter for members which is available on this website (see right-hand section). 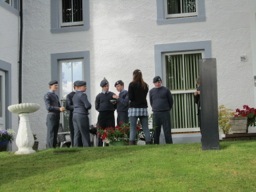 The 602 Squadron Museum Association Committee meets at regular intervals throughout the year. 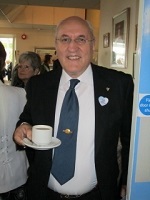 Please contact us if you are interested in joining the Association Committee. 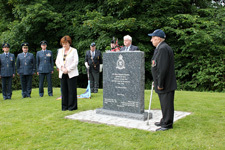 The 602 Squadron Museum Association holds an annual AGM which is normally held in the month of October. 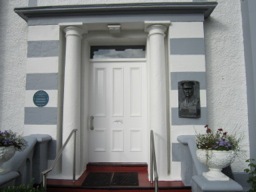 All members of the Museum Association are warmly invited to attend. 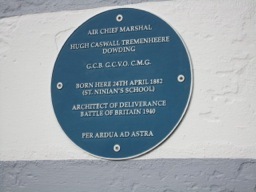 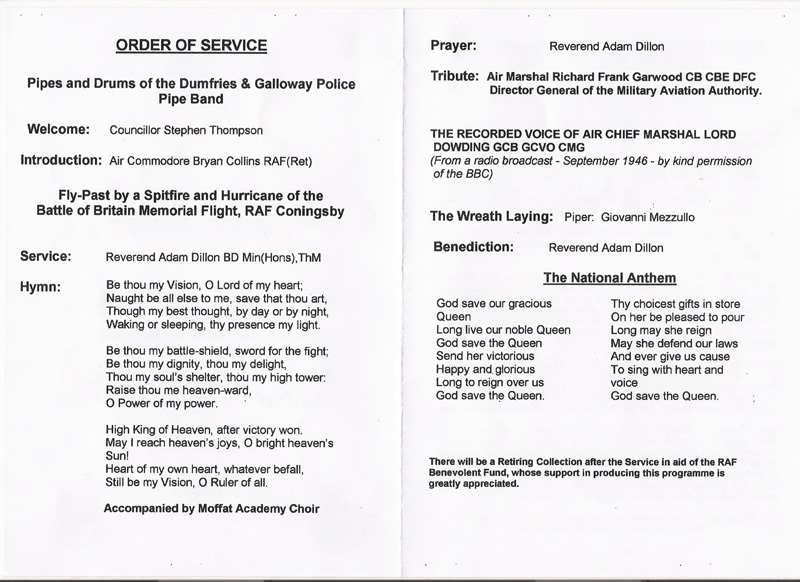 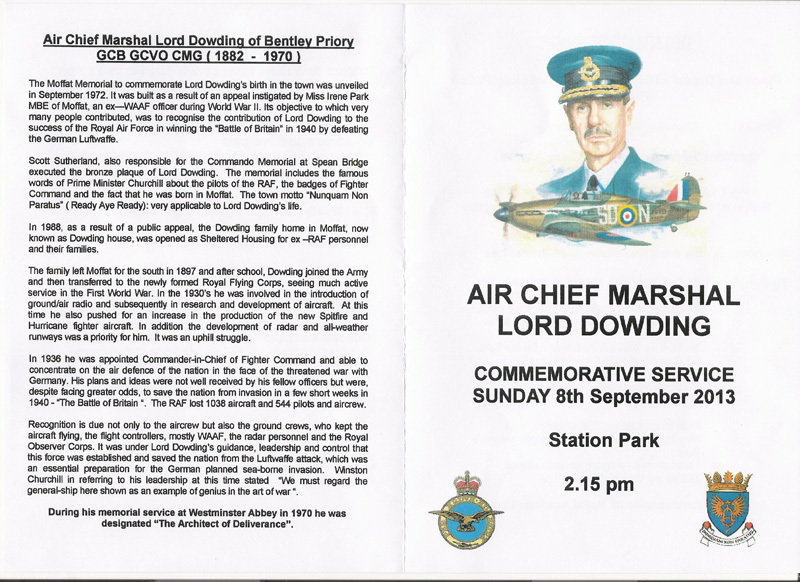 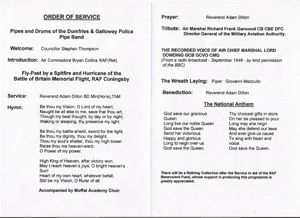 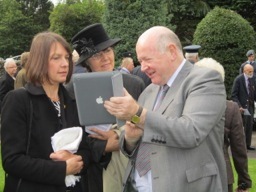 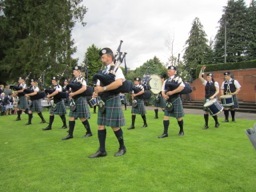 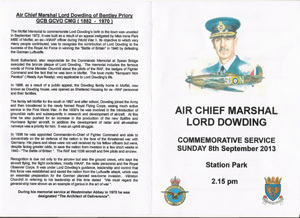 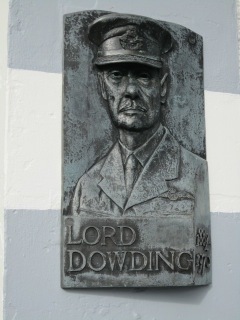 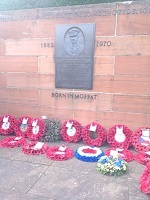 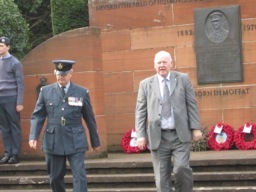 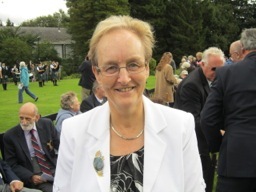 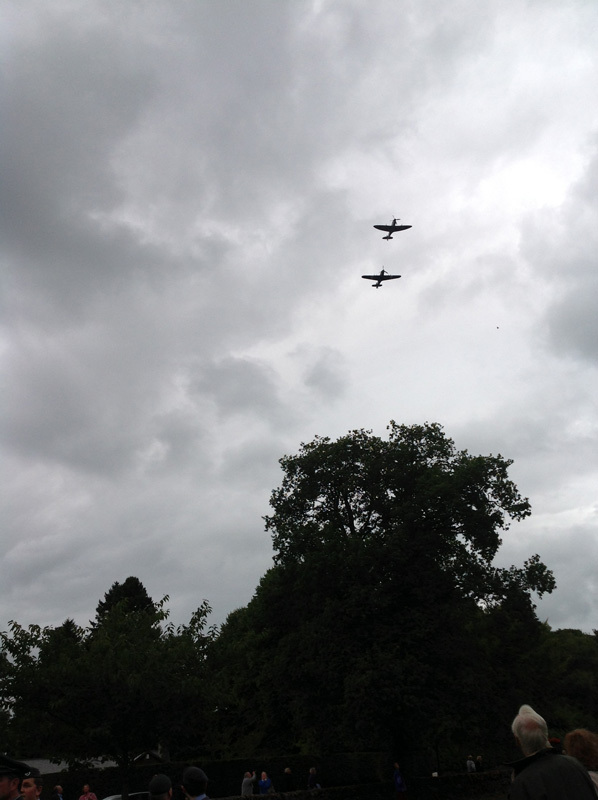 The Annual Commemorative Service at Station Park, Moffat planned for the early in September (Sunday at 14:15 Hrs) is in gratitude to " The Architect of Deliverance " and son of Moffat Air Chief Marshal Lord Dowding GCB, GCVO, CMG for his Leadership and Strategy deployed by Fighter Command during the Battle of Britain which defeated the Luftwaffe. 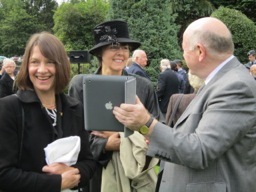 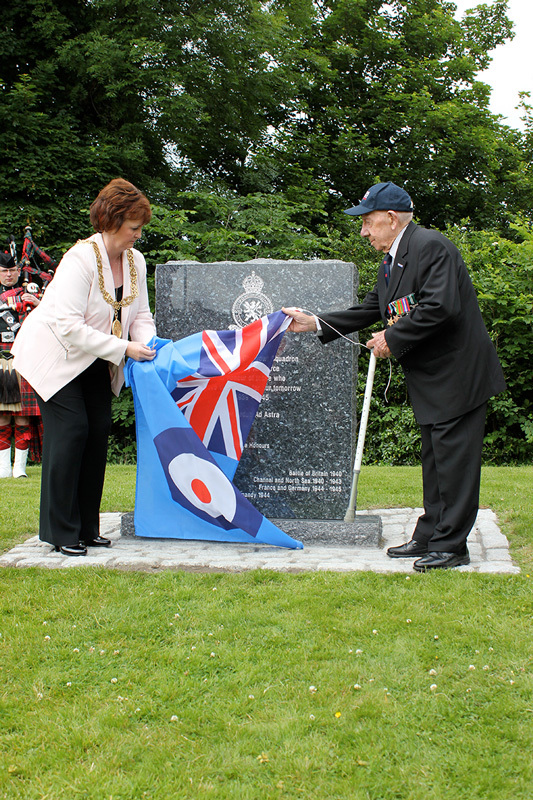 The unveiling of the Memorial to 602 City of Glasgow Squadron 1939 - 45 at Kelvingrove was carried out by Glasgow Lord Provost Sadie Docherty and ex 602 Veteran Joe Parker on 25th June 2013. 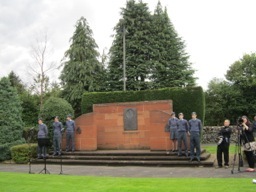 There was a very good turnout at the unveiling which was co-ordinated by Jim Devine a committee member of the 602 City of Glasgow Squadron Museum Association with the 602 Squadron present along with the O.C. 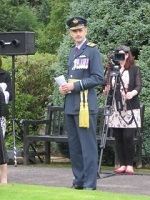 Squadron Leader A. McCallum as well as the previous O.C. 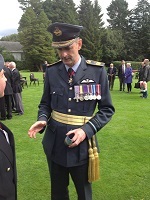 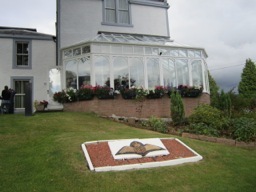 G Lyall, the Honary Air Commodore I. M. McMillan, Retired Group Captain R. Kemp , A patron of the 602 Museum Association His Grace the Duke of Hamilton , representatives for the Merchants House and Trades House Glasgow as well as the ex 602 Veterans, and the Museum Association members and the General public. 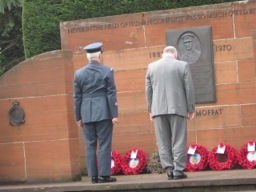 The financial support for the Memorial came from The Merchants house, Trades House Glasgow and the 602 Museum Association along with the help from Dr Ellen McAdam Head of Museums for Glasgow and the Kelvingrove Museum & Art Gallery for thier support in making it possible.